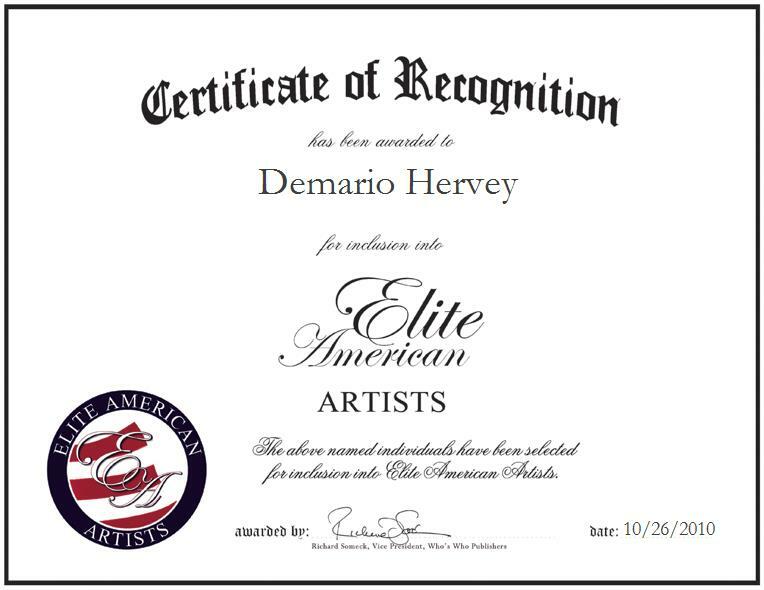 Alexander, AR | October 26, 2010 | Demario S. Hervey of the Demario S. Hervey Trust has been recognized by Elite American Artists for his accomplishments and achievements in all aspects of writing. Mr. Hervey’s expertise is in storytelling. He utilizes his education and years of experience to write books.